Widespread adoption of the WirelessHART network protocol (IEC 62591) and recent advances in lithium battery technology have made it affordable to supplement wired detection systems with wireless systems, improving plant safety and regulatory compliance. 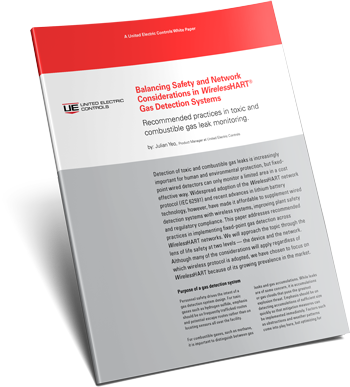 This paper addresses recommended practices in implementing fixed-point gas detection across WirelessHART networks. We will approach the topic through the lens of life safety at two levels — the device and the network. Although many of the considerations will apply regardless of which wireless protocol is adopted, we have chosen to focus on WirelessHART because of its growing prevalence in the market.